Growing up as a kid, my priorities ran somewhere along the lines of getting good grades, staying a step ahead of neighborhood bullies, and figuring out girls (a challenge that as an adult I still struggle with). One thing I know for certain, I wasn't an aspiring Olympian, the owner of a recycling company, or a veterinarian in training. 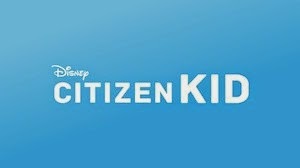 The new Disney web series, Citizen Kid, is all about sharing the stories of ordinary kids doing extraordinary things. Prepare to be inspired by the three videos below--a perhaps a little shamed. These kids are making a difference. Are you? New installments of the 18-episode series will be released on Wednesdays. To see more and maybe share a Citizen Kid story of your own, visit www.disney.com/citizenkid.